*** I came down with a scary illness called idiopathic vestibular disease on Christmas Day but little by little I’m getting better and less dizzy and off balance. I should be back to my athletic and strong self soon, and ready to take on the job world! 7 yr old orange tabby, part manx, and polydactyl cat. I have a short tail but it adds to my mystique and allure. I have thumbs and they help me with difficult tasks. KEY SKILLS- Jumping high, posing for photos, playing with fun cat toys, napping, eating delicious and healthy cat food, meowing, and just looking cute. PROFESSIONAL WORK EXPERIENCE- I’ve been on TV on My Cat From Hell, Bad Dog- Animal Planet, and the 2015 KittenBowl. I’ve worked on various collaborations with cat toy companies, cat scratcher companies, and a cat food company. I work passionately on any job that I get , whether it is for pay or as a volunteer. All the clients that I’ve worked with have always been very happy with my work. PERSONAL- I have a LOT of awesome and loyal friends who like cats, cat stuff, and animal causes, and who support and enjoy many of the things that I do. I don’t do well in planes, trains, and automobiles so traveling and public appearances are most likely out of the question unless it is a one of a kind situation and a very short drive in a car. I’ve been offered quite a few cool trips with good pay but my mom isn’t going to compromise my well being and happiness and take me on them. My mission and main purpose in life is to use my fame to help the welfare of kitties and animals. I have a lot of integrity, honesty, and good morals and values. I put the welfare of kitties over anything else. I hope to work for companies who treat their businesses in the same way. VOLUNTEER WORK- I work with my mom on my most important cause to end declawing, 16 hr days, 7 days a week as a volunteer. 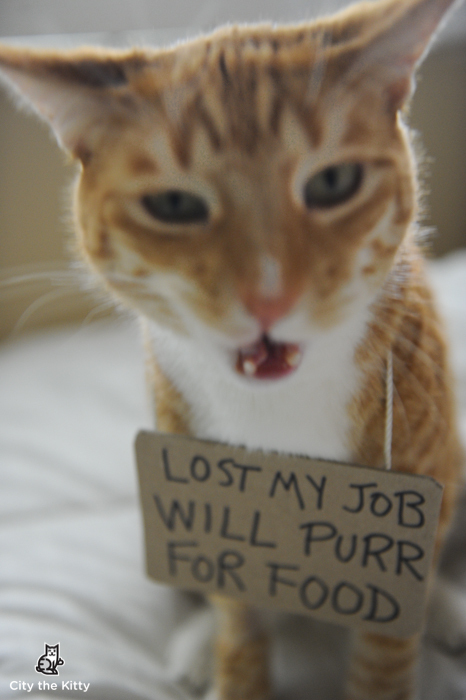 I would like to find a job so I can pay for my cat food and some bills for my mom, so that she can keep working on my cause full-time and not have to go away to another job. Too many kitties are suffering needlessly from this inhumane procedure and we must keep educating cat owners and bringing awareness to this horrific thing. My awesome supporters and fans are very passionate and devoted to this cause. We have reached critical mass and our numbers are increasing lately quite significantly. More and more people are realizing that declawing is wrong and are actively helping us end it in North America like it is in most of the rest of the world. 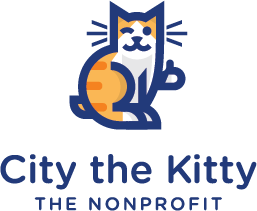 Ideally, I would like to work for a company that publicly supports my cause to end the inhumane procedure of declawing, but if that’s not possible, at least privately support me. I think that it would be so awesome to work for a company that would come up with innovative and cool campaigns with me, to teach cat owners how to train their cats to use scratchers and all the humane alternatives. This company wouldn’t even have to mention the D word (declaw) in the campaigns. I would catch fire and this company would get so many accolades and be known as a compassionate company that cares about animal welfare over the worry about losing cat consumers. In fact they would most likely get even more cat consumers buying their products or food if they did something like this with me. FAMILY- One of my moms is an award winning photographer who has won three team Pulitzers with her colleagues when she used to work at the Los Angeles Times as a staff photographer for 25 yrs. I work well with her and am the most cooperative model. I’m so proud of her since she is giving up that amazing career to just help me with our cause to end declawing. My other mom is an awesome ICU neuro-trauma charge nurse at one of the best hospitals in America and she makes me so proud because she helps save so many human lives. My sister, Miss Lulu La Roo, is the sweetest and best dog I’ve ever known. She escaped from a home that was neglecting her and ran out in front of my mom’s car. Luckily my mom was paying attention and stopped in time. Now Lulu is so loved and cared for and has the most awesome life that she deserves. PRESS- PRESS You also can Google “City the Kitty” for other news stories about me.